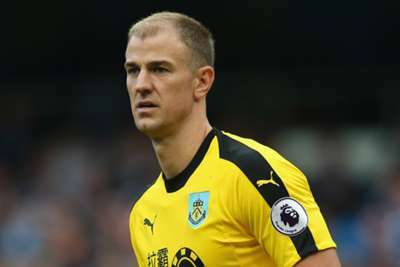 Vincent Kompany is backing Joe Hart to help turn Burnley's Premier League fortunes around, describing the former Manchester City goalkeeper as "a winner" and "a massive personality". Hart conceded five as the Clarets were thumped by Kompany's men at Etihad Stadium on Saturday, with Sergio Aguero, Bernardo Silva, Fernandinho, Riyad Mahrez and Leroy Sane all finding the net without reply. The defeat left Sean Dyche's men with just two wins from their first nine Premier League games of the season as they slipped to 13th in the table, three points above the relegation zone. Despite their struggles, Kompany praised what he sees as a strong team spirit with Hart at its centre. "You see his talent shine through in a goal where he's used to playing an important part," Kompany told reporters. "I want him to do well and he looks like he's happy. that's the main thing. "You take away what you see on the pitch, his ability to stop goals – Joe is a winner. He's always been a massive personality and voice." Hart and Kompany won two Premier League titles, two EFL Cups and an FA Cup while playing together at City, before Pep Guardiola's arrival at the club heralded changes in the team's defensive approach. Despite City having been successful in Hart's absence, Kompany was full of praise for his former team-mate. "Having him in your team makes a difference by his presence," said the Belgium international. "That's the side that people have never really gotten to understand. "In a team like he's in today, you can see the lads fighting for each other, a togetherness. "He's able to lift that team." 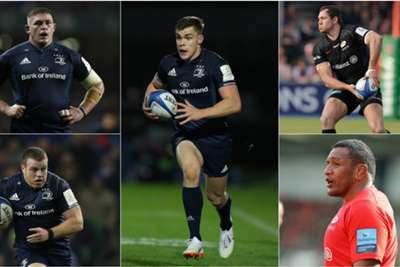 Perhaps unsurprisingly, the five nominees for the European Player of the Year all turn out for Champions Cup finalists Leinster or Saracens.